Booking a taxi had never been hassle-free and you never can’t seem to catch one when you really need it. Apart from this, there are so many things to take into consideration in order for the service to be reliable. Sometimes the taxis are just a no-show! However, all that is about to change with a nifty Android app named Taxi Beat that’s going to revolutionize the way you book a cab and make the process easy and user friendly so you no longer have to fret about it. It allows you to summon a taxi, wherever you want, whenever you want and for affordable rates without any extra costs attached. It has an in-built connection with maps. You tap the map, pick your taxi driver and then it’s done. When the taxi arrives and you go where you want to go without having to worry. This is so much safer than flagging an unknown taxi from the corner of somewhere and not knowing whether the driver is trust worthy. Taxi Beat allows you to choose the car driver that you want according to your needs. So it’s like customiz ing your taxi driver to fit you and they provide you an entire profile on each of the taxi drivers to help you make a decision. The profile has a great list of useful details like the name, photo of the driver. It also has additional details like the on-board amenities in the taxi so you can check that. It allows you also to view a rating on the profile page. This is a user rating so you can know whether other users have enjoyed the service or not. It also tells you exactly how far the taxi is from where you are so that you can then choose to pick based on the driver or the distance of the cabs from you. You can also strike middle ground and pick a driver you like who’s relatively close by. This allows you to access the nicest and nearest cabs available, and even get the best drivers. 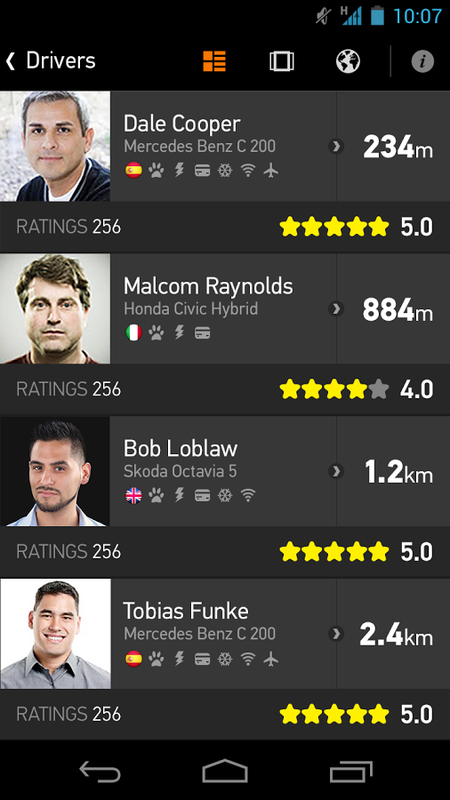 As you can view others ratings, so can you rate on your own. You can rate taxi drivers with anything between 1 to 5 stars depending on your own experience so other users can use your rating to make a decision. You don’t need to remember the taxi number or keep frantically looking around for the taxi when you’re waiting. Due to the map integration you can simply watch as the taxi approaches you. 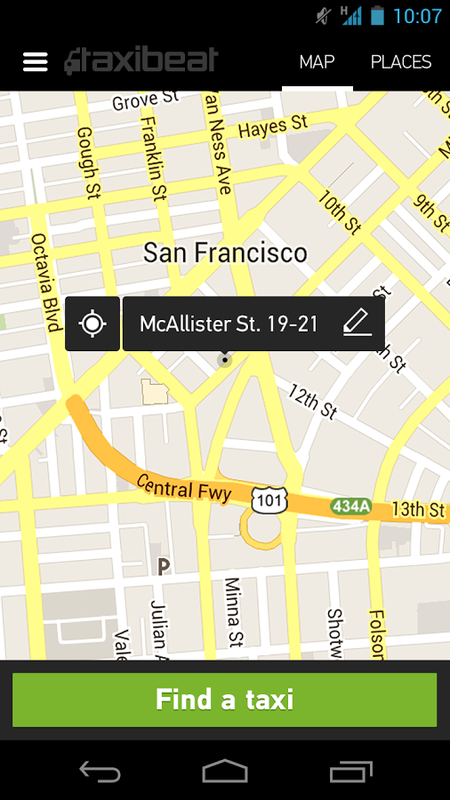 You can also call the cab directly through the numbers provided through the free app Taxi Beat. The app provides you with important details like the number plate, phone number and picture of the cab driver once you book. So you can always text it to someone else for added security. The best part of the service is that it doesn’t charge you anything extra to pre-book the taxi. Therefore, you only shell out the best base fare from your wallet and nothing more. The Taxi Beat Android app can be used in Greece (Athens), Brazil (Rio de Janeiro, Sao Paulo), Mexico (Mexico City), France (Paris), Norway (Oslo), Romania (Bucharest), and also plans to launch in Latin America.